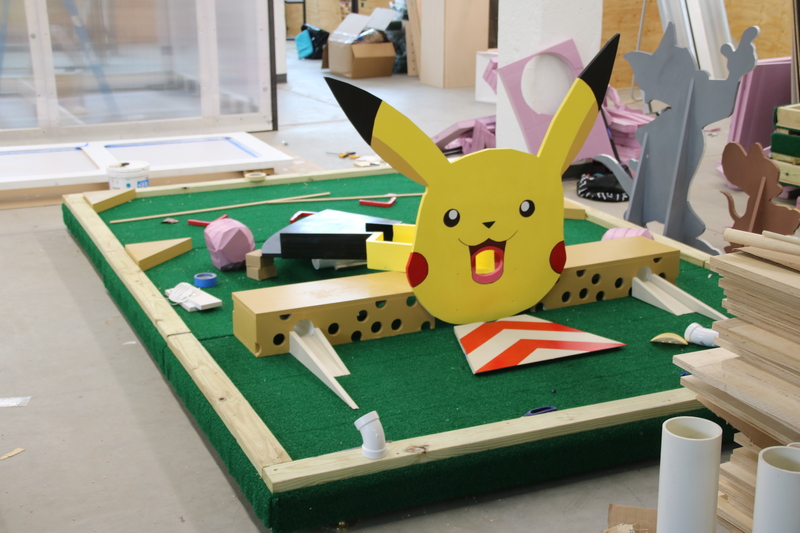 Samantha Redles, sitting next to large wooden cutouts of Pikachu and Tom and Jerry, was hard at work, paintbrush in hand. The 27-year-old artist was at Open Works on Greenmount Avenue Thursday, painting oversized plaster versions of the three components of the peanut butter and jelly sandwich. Cartoon characters and PB&J’s may not seem like high art but they represent high hopes for the organizers behind her efforts – the Station North Arts and Entertainment District and a host of foundations, educators and funders. 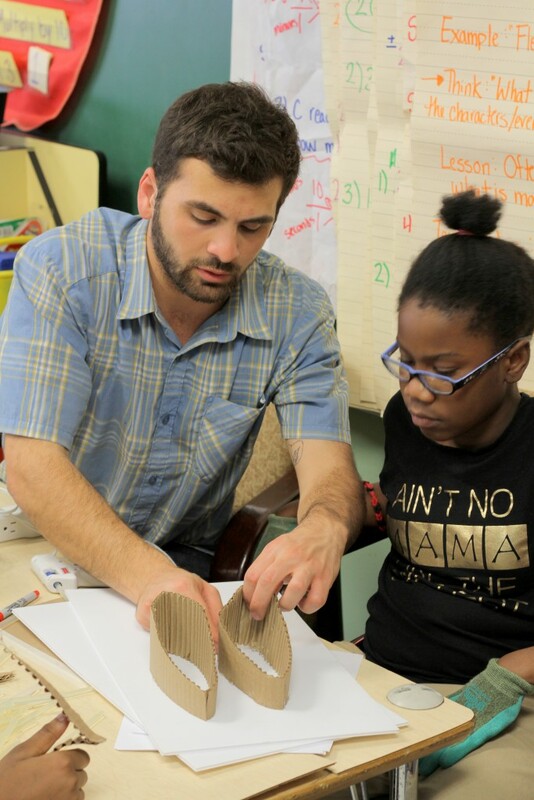 Redles was working on The Station North Mini Golf Project which is crafting a playable mini-golf course using designs by Baltimore students from the nearby Margaret Brent Elementary School, the Baltimore Design School and the Baltimore Lab School. The eight-hole course, to be set up at the corner of Charles and Lafayette streets, will debut on July 21 at Artscape and continue through mid-August. It will then continue with abbreviated hours through early-October. 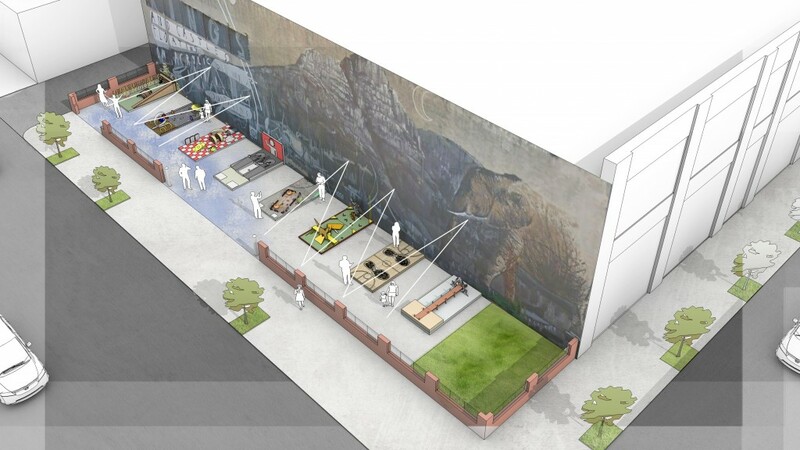 The organizers were looking for a playful, all-ages project that would bring the city-supported arts district together with the neighborhoods in north central Baltimore where it is located. Redles, who advised the Lab School middle schoolers, explained how it worked. 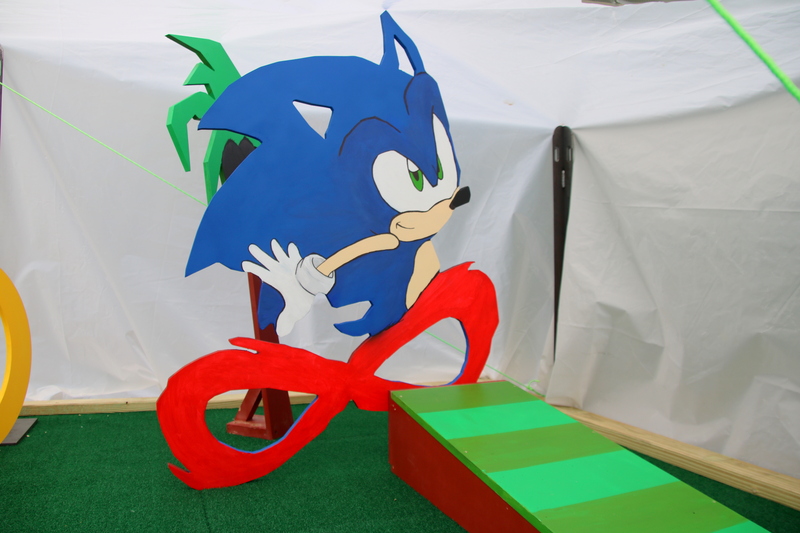 The kids weren’t directly involved in painting or cutting the wood for the final version of their holes. That’s what Redles and the other artists (painter Dave Eassa, illustrator Megan Lewis and light artist Jose Roserio-Curet) and the staffers at the makerspace OpenWorks have been doing. 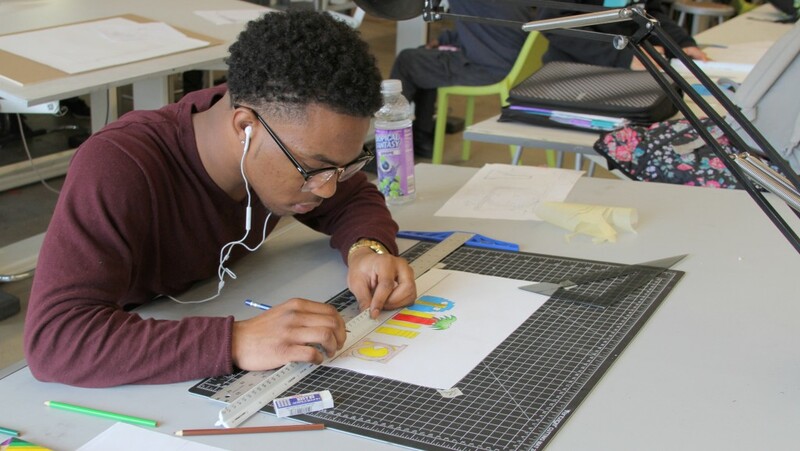 The students came up with the ideas for elements they wanted, including Donkey Kong, Sonic the Hedgehog, sneakers, dj’s turntables, sharks and a tribute to Baltimore’s Arabbers that includes the Baltimore street vendors’ iconic horse carts. 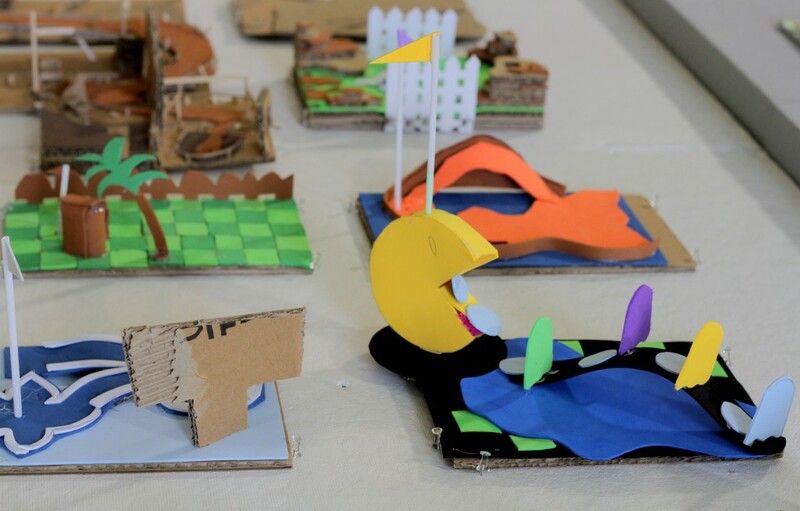 After figuring out the themes, the students went to work drawing and building small 3-D replicas of the courses out of cardboard and paper that were then put into a computer 2-D image design by local architecture firm Gensler & Associates. FutureMakers developed and oversaw the design process. Mahan Rykiel worked up the site plan. Among the funding sources for the project was a $35,000 grant from the National Endowment for the Arts. 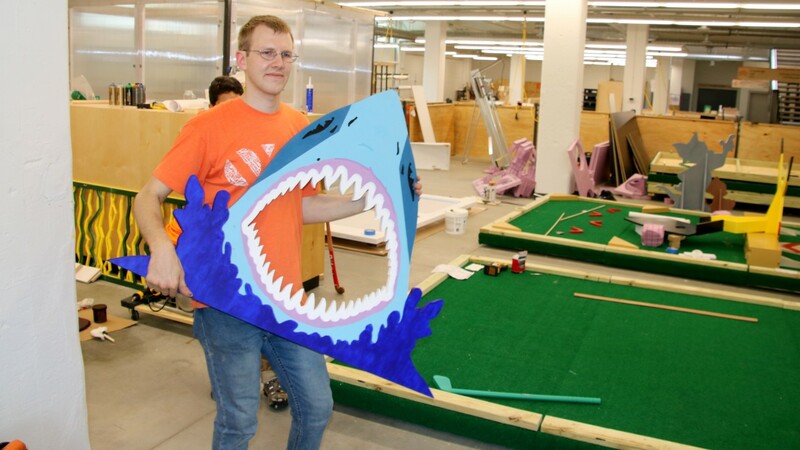 The end product was not the typical winding course found in commercial mini-golf places, but instead manageable rectangular boards that are each about 12 feet long and will sit next to each other. Anything is an improvement for Baltimore mini-golf fans, who have had to go to suburbia, rural areas or the beach to find courses. After being completed over the next few days at OpenWorks, the Station North greens will be moved to their new home before the big unveiling during Artscape. Station North Mini Golf will be operated from Friday July 20 to October 6.